Strata Systems is a manufacturer and worldwide distibutor of a diversified group of soil reinforcments products. 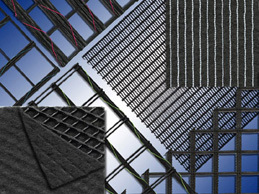 Strata Systems is the only manufacturer of geogrids owned and managed in the United States to have both domestic and international production facitlites. Hardscapes carries a wide range of strata products, if we dont have the product in stock we will order the product for you.